become more interdependent in the future. the attitudes and habits of users, its value will only continue to grow over the coming years. That being said, it’s unclear exactly how search engines use social media to rank your website. etc.) don’t factor into search results. would not have been able to build a large community of followers in the first place. and content value, it can look at that traffic as concrete proof that you are doing something right. These three quick tips will help you craft social media posts that boost clicks to your website. lower than updates that are approximately 40 characters long. Try to keep your social media posts to around 40 characters. of the words you need, and not one more. Managing SEO can be challenging at scale and crucial for your online rank. Read this awesome blog post on how to do anchor texts and other SEO techniques. When it comes to marketing on Facebook, there’s more to it than simply creating a Facebook page for your local business. In general, doing any type of marketing requires a strategy beforehand so that you know exactly how to appeal to your audience. 1. How Do You Choose Your Profile and Cover Photos? Make sure that your profile and cover pictures aren’t inappropriate or poorly made. If you need to, invest in professional photography services to make your business photos pop. Clear and crisp photos will only help generate interest in your business and attract more people to it. 2. What Do You Want To Post? Posts must always be positive in some way, i.e. funny, encouraging, engaging, empowering, etc. Don’t vent to your fans, and keep any personal issues you have to yourself. Add some type of media with each of your posts. The most popular type of media to use with posts is images. You can also combine YouTube videos with your posts. Have a variety of posts to keep your Facebook page interesting, such as promotional posts and content-only posts. 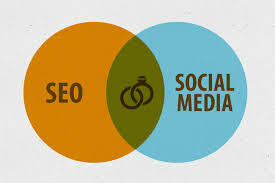 SEO Management is one of the most important things to do on your website. If you build backlinks, like to save time, and want software that makes insightful and useful recommendations – Linkio might be what you’ve been looking for. Call Us Today to Talk to One of Our Social Media Marketing Experts.